Professor Yan Yao shakes Dean Tedesco's hand after receiving the Ralph E. Powe Junior Faculty Enhancement Award. 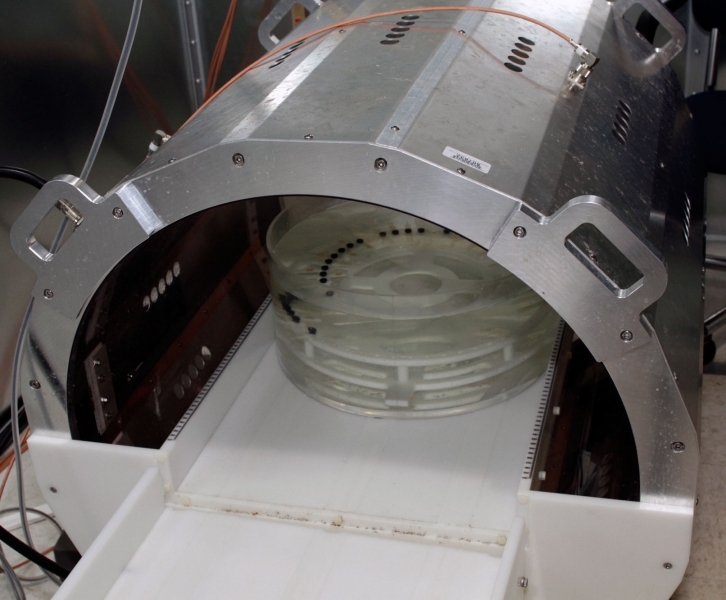 Professor Ji Chen and his students use this MRI machine to test its compatibility with metallic implantable devices. 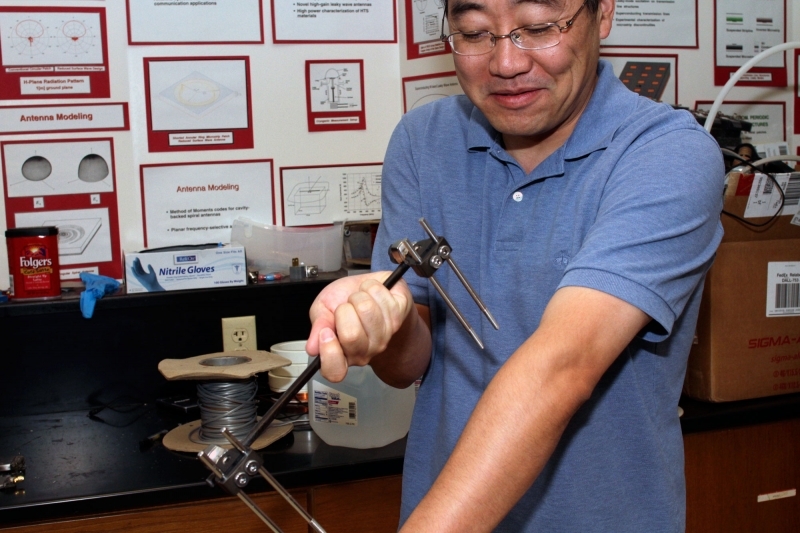 Professor Ji Chen shows example of metallic implantable device which he will test for compatibility with an MRI machine. Working with professor Ji Chen, graduate student Kevin Feng sits on the MRI machine with his hand inside of the phantom. 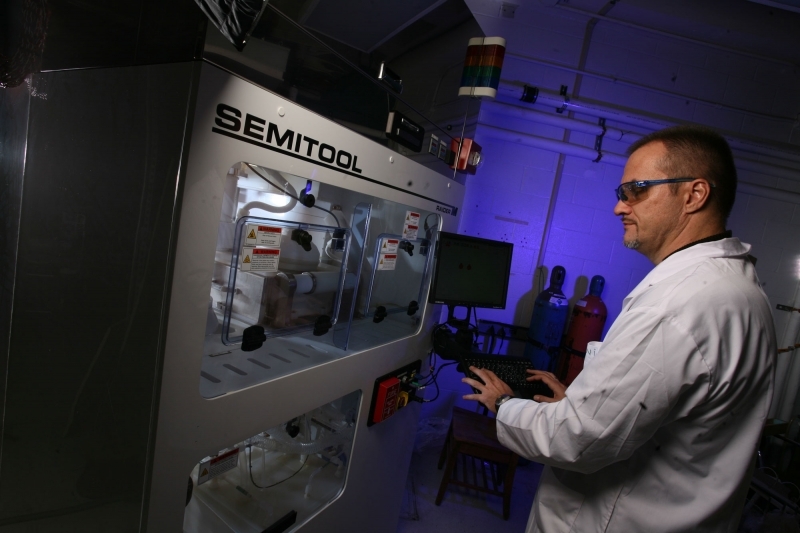 Associate professor Stanko Brankovic is developing a new method of fine-tuning the properties of catalysts. 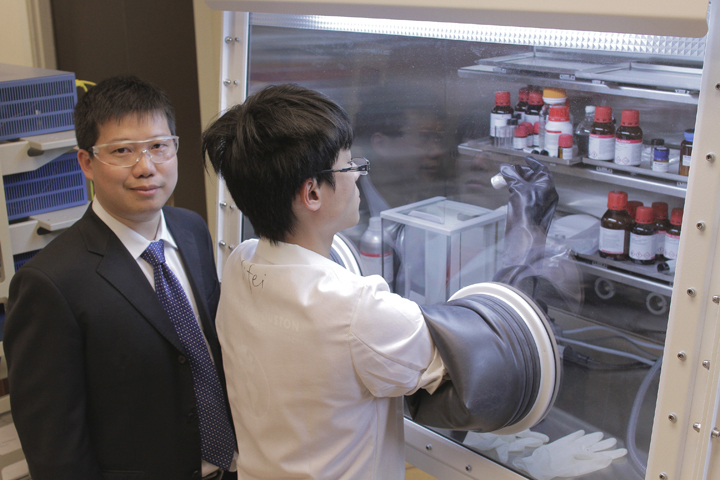 ECE Professor Yan Yao guides graduate student in lab demonstration at UH Cullen College of Engineering. 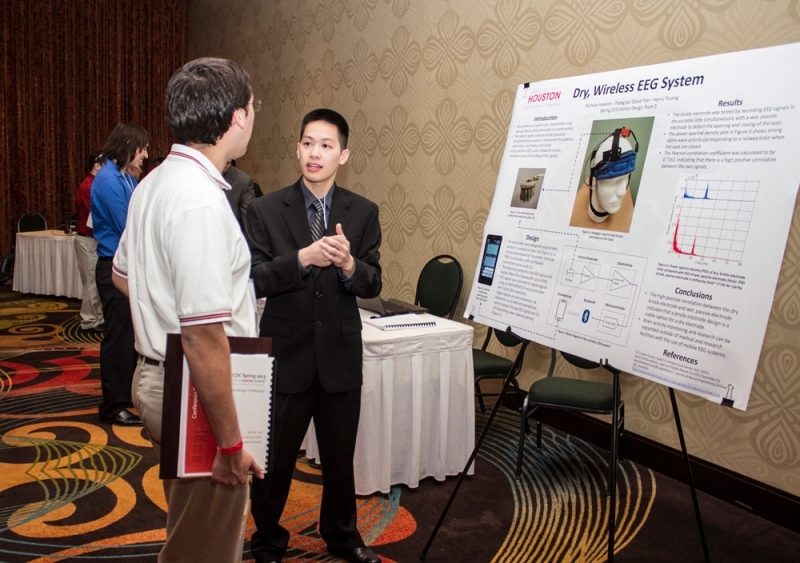 ECE student presents his poster design at the Capstone Design and Graduate Research Conference, held at the UH Hilton. 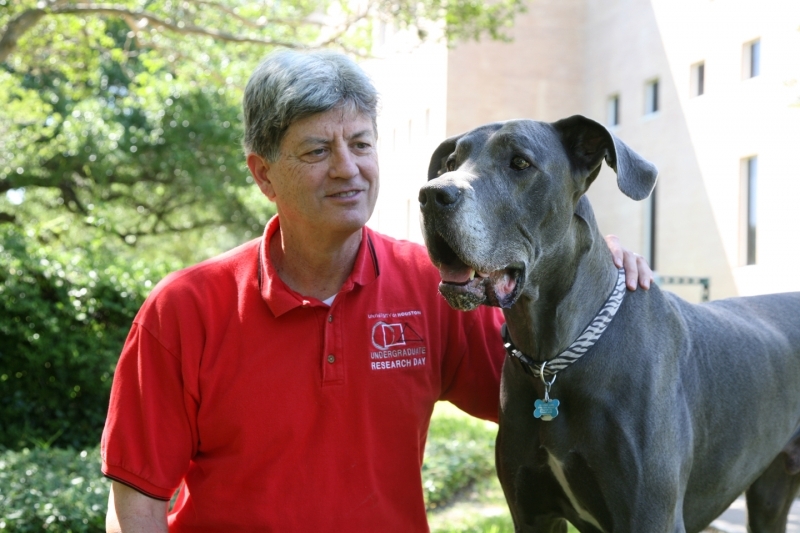 ECE professor Stuart Long takes time out with his Great Dane, Grayson. NASA-sponsored student team demonstrates their cube-satellite antenna design for a panel of ECE professors. 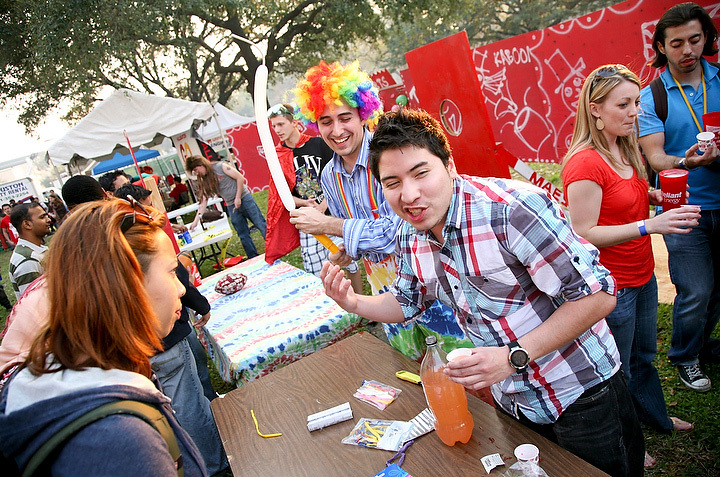 ECE students and faculty enjoy laughs, food, beer, and fun at the annual IEEE Chili Cook-Off, thanks to the sponsors. 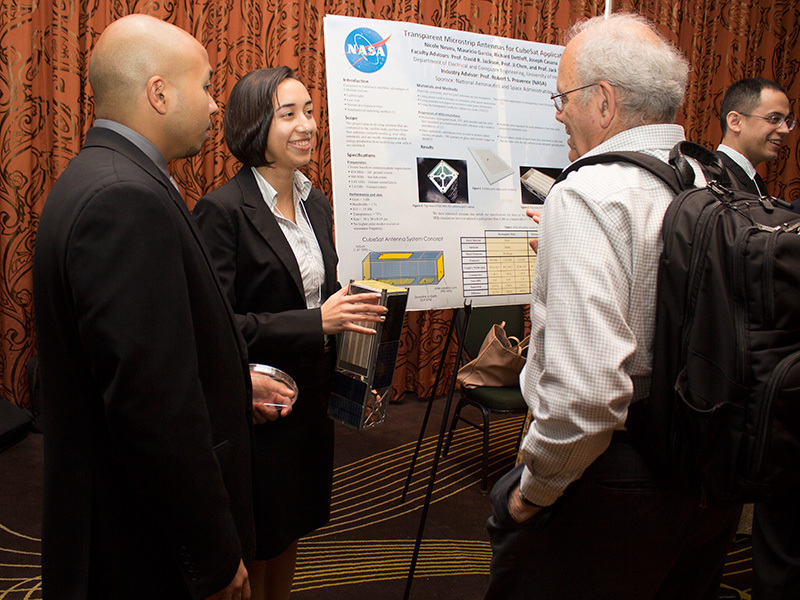 ECE student Nicole Neveu presents her NASA-sponsored senior design teams’ innovative cube-satellite antenna design. 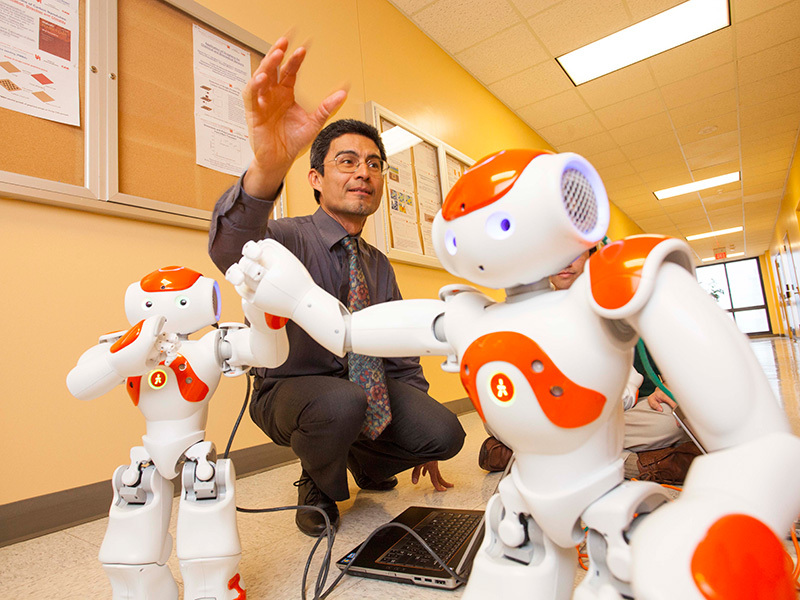 Professor Jose “Pepe” Luis Contreras-Vidal uses his NAO robots to inspire young students to pursue careers in STEM.